At Teffont as well as supplying a huge variety of printers, photocopiers and digital duplicators we also have a vast range of print finishing products. Print Finishing is a broad term used to define anything that happens to a print after it is printed. 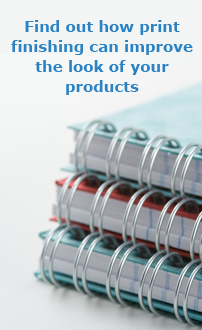 So whether you’re looking for a heavy duty stapler or a high-speed booklet maker you can find quality advice and service on print finishing products at Teffont. A collator sits separately to a digital duplicator or photocopier and is used to merge separate sets of pages into collated sets at very high speed. Collators typically feed into an automatic booklet maker to create A4 or A5 booklets, manuals, reports, magazine or NCR sets. With the addition of a trimmer unit it is possible to create magazines and reports with edge-to-edge or full bleed coverage. A mid-range system can produce up to 2,400 A5 booklets per hour. Schools, Universities and professional printers, or any organisation with a printing department, can benefit greatly from these products because they provide high speed production that can’t be matched by normal photocopier finishing. Every organisation can benefit from a folding machine. They provide a simple method of folding letters, leaflets, brochures, flyers and menus quickly and accurately. In addition to the time saving benefits most companies benefit from reduced postage costs with A4 letters being easily folded down to DL envelope size. Paper trimmers range from A4 rotary desk to free standing A0 models with self-sharpening steel cutting blades suitable for wide-format plans, posters and drawings. Guillotines include easy and safe to use hand operated models and fully powered self-clamping models that include illuminated cutting lines. 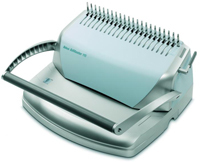 Punching and binding documents has never been easier with the widest choice of wire, coil, comb, strip, channel and thermal binders. Capabilities range from hand operated binding machines capable of producing one bound document at a time, to free standing powered models than can bind up to 15,000 sheets per hour. 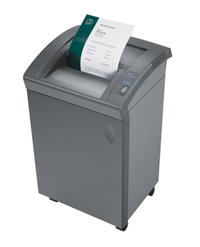 Protecting documents, report covers and posters is easy with our large range of laminators. Sizes from business cards to A0 size can be laminated using a wide choice of encapsulation material. Both hot and cold sealing processes are available enabling temperate sensitive materials to be covered safely. 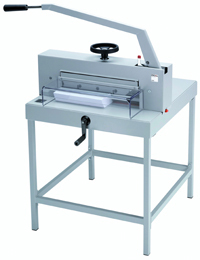 Shredders are available with a wide range of cutting widths and capacities. For low volume office shredding such as letters, forms and reports a 4mm cutting width is adequate but for higher volume and maximum security up to 80mm cutting width is available that is capable of shredding CDs, directories and lever arch files. 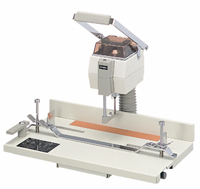 Paper drills are designed to make two, three or four holes in large documents such as ring bound presentations, reports, operating manuals or archived documents. Rather than punching through the paper, they drill which enables much larger documents to be bound, such as legal files.